Kaitlyn isn't happy with her partner and when she meets her teenage crush Alex again, she has a one-night-stand with him. When she finds out she's pregnant they start a whirlwind romance and she decides to leave everyone she loves behind to move in with Alex in a completely different part of the country. Alex lives in The Old Vicarage, a large house in the Lake District. As soon as Kaitlyn enters the place she feels uncomfortable. There's no homely feel and Kaitlyn briefly wonders if she's made a mistake. How well does she know the man she's moved in with and is supposed to get married to? Alex is secretive and can be controlling, but he also regularly surprises Kaitlyn with a gift or a romantic outing. She can never let down her guard when she's with him though. Kaitlyn is about to become a mother and to find out more about the man she's going to have a baby with, she decides it's time to search the house. What will she uncover? Is Alex the kindhearted man he wants her to believe he is and is Kaitlyn safe with him? He Will Find You is a fantastic gripping story. Kaitlyn and Alex haven't been together long when they decide to get married. Kaitlyn's pregnancy leads to quick decisions that are exciting, but also scary. Kaitlyn is a kindhearted woman and she deserves a loving and caring husband. Alex appears to be perfect, but he almost seems to good to be true. Kaitlyn never feels completely at ease while living with him. She has many questions and Alex doesn't provide any useful answers. Slowly Kaitlyn discovers the truth and finding out what that was kept me on the edge of my seat. 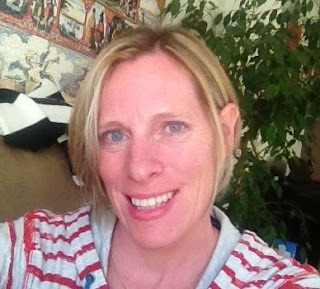 Diane Jeffrey has a great compelling writing style. He Will Find You is fast-paced and difficult to put down. It's filled with unexpected twists and turns and plenty of suspense. I love it when a book grabs me immediately. 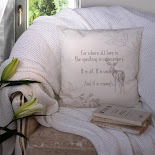 I read He Will Find You in one sitting and was completely captivated by Kaitlyn's situation, I couldn't stop reading. Diane Jeffrey completely spellbound me. 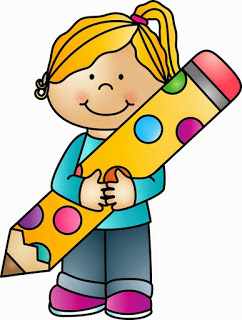 She has written a magnificent thrilling story with a terrific oppressive atmosphere and an amazing bone-chilling plot. I highly recommend He Will Find You, it has the exact right creepiness factor. If you love gripping creepy thrillers you don't want to miss He Will Find You. 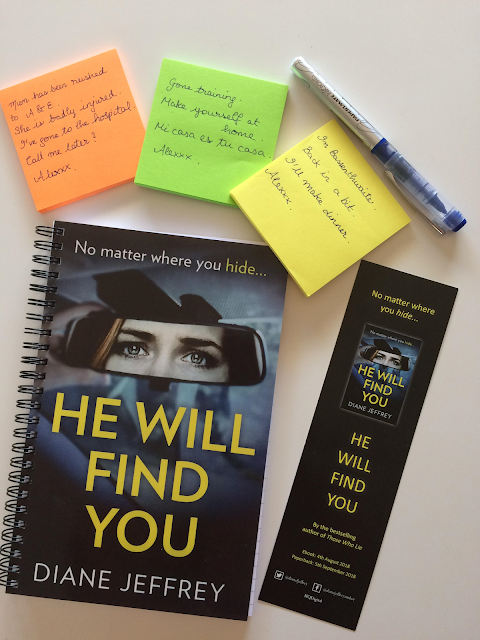 One very lucky reader of With Love for Books will receive a He Will Find You notebook, bookmark, pen and post-its that are connected to the story from Diane Jeffrey. This sounds like an awesome page turner! I can't wait to read it. 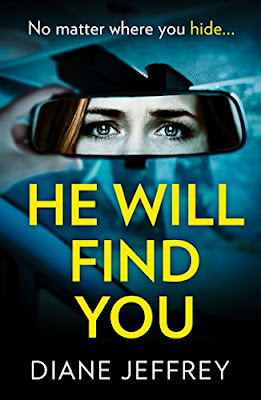 He Will Find You sounds like a terrific psychological suspense thriller full of twists. Sounds intriguing and love the cover! wow, sounds fabulous and absorbing! Best of luck with He Will Find You. It sounds like a good read. Thanks for the chance to win! 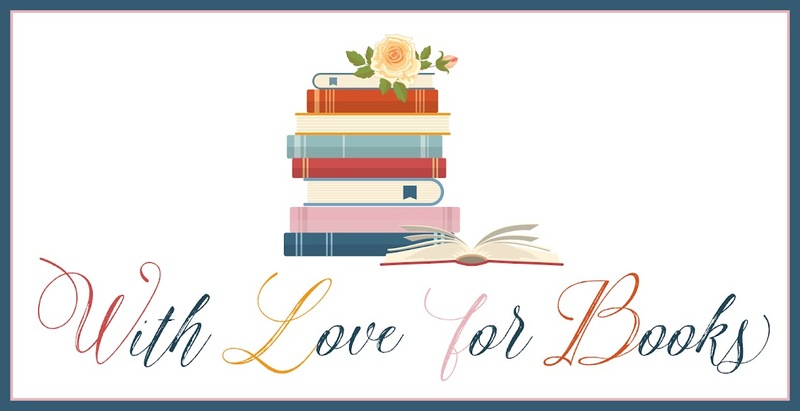 I saw this post in the Sunday, Aug. 05, 2018 edition of The BookTube Your Shelf Daily Reader. I love the Cover ! I am looking forward to reading this book ! Wow, it sounds really creepy! I do enjoy thrillers - during the day light hours. This sounds terrifying! I love it! Thank you for the great review! Sounds like one I'll enjoy reading! I'm curious about Alex's secrets & why he's not answering Kaitlyn's questions. Alex sounds like bad news! Don't marry a controlling man! Be free! What a great book read find that I came across today, thank-you so much. It sounds great n I love the cover. Can't wait to read it. This sounds so awesome. I can't wait to start this read. Thanks so much..
That cover is scary lol. But the book sounds a great page-turning thriller and one you might not want to read alone, or late at night. In a good way though. Sounds gripping story i would enjoy very much. The first book also looks interesting. 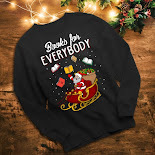 Than you for the review and giveaway. I've got this, just haven't got round to reading it yet. Excellent reviews though!